Rehoboth is a spacious detached house situated within walking distance of The Bridge. 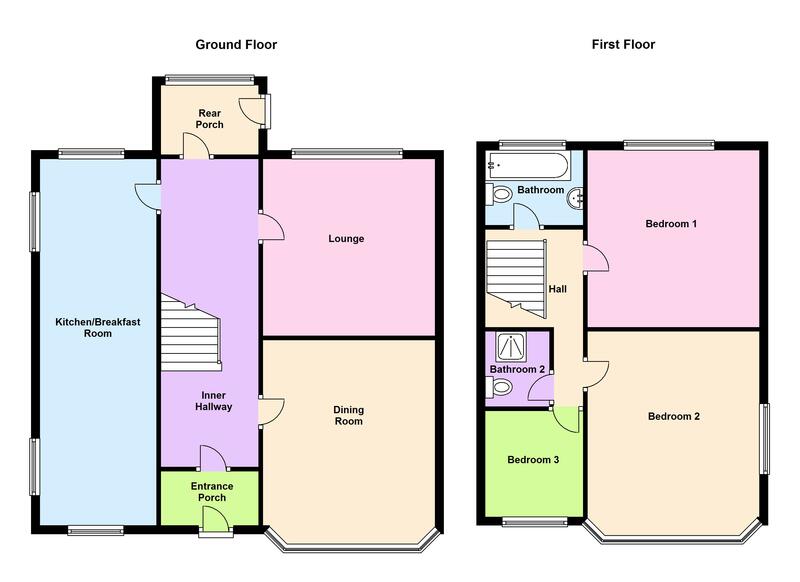 Comprising of three bedrooms and two bathrooms on the first floor and lounge, dining room/bedroom 4 and large kitchen/diner room on the ground floor. This property has ample parking at the front, a rear garden with block built shed, area of land to the west, and is partially renovated with lots of potential and scope to develop further. Subject to obtaining relevant permissions, the property would lend itself to converting into two apartments with the construction of a detached house on land to the west of the property. Another option may be to demolish the existing and build a terrace of 3 or 4 properties. Call Cranfords today on 243878 to book your viewing. 23'9" x 8'1". Appliances include Hotpoint 5 ring gas hob with Hotpoint extractor fan, Hotpoint electric oven and Hotpoint dishwasher. 8' x 7'2. Single bedroom. Mains electricity, water and drainage. Gas central heating. uPVC double glazing. Floor coverings, curtains/blinds, appliances and light fittings.